Josie is a relatively new model, with some experience competing in Miss Great Britain. She contacted me to see if I would like to work with her. We scheduled a shoot and met for a couple of hours to create some pictures for her portfolio and some for me. 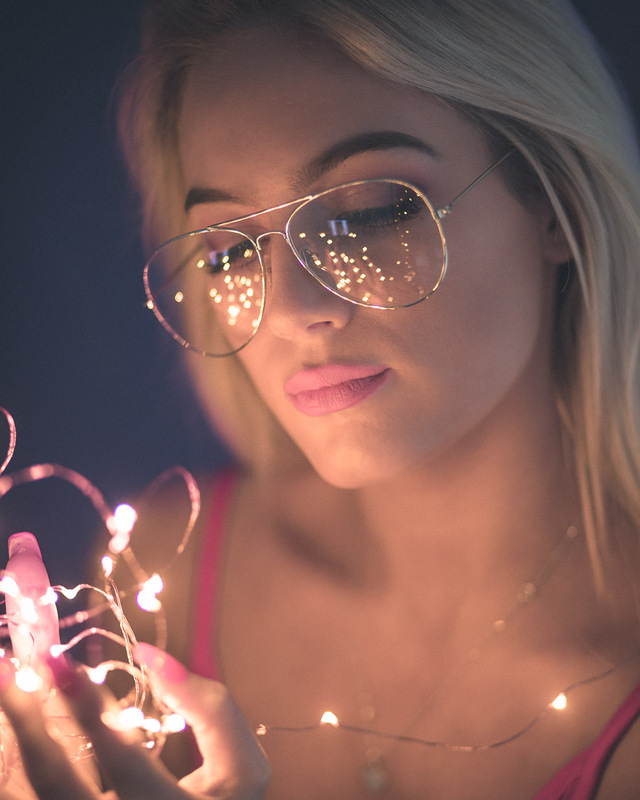 I had it in my mind to try the Brandon Woelfel look. I’d been seeing lots of photographers trying it. So duly inspired I got hold of some led lights, and big aviator glasses, then packed the 50mm f/1.2L and 85mm f/1.8 lenses. I definitely achieved what I wanted on this shot, but now I’m looking to do some more in this style outdoors in 2018.